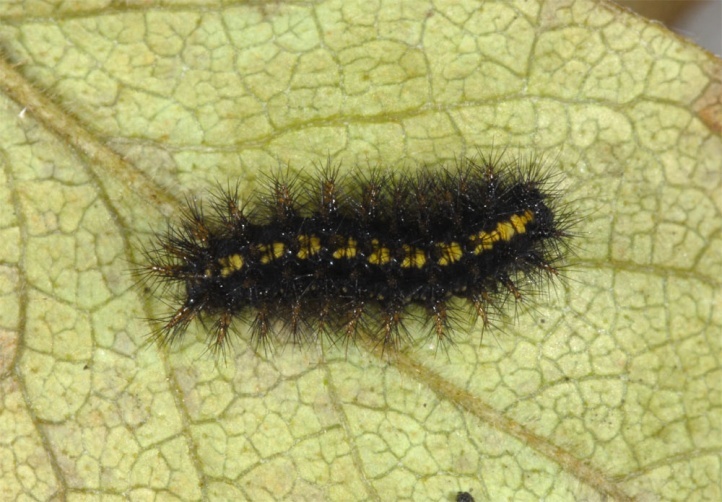 The caterpillars live on Lonicera coerulea. 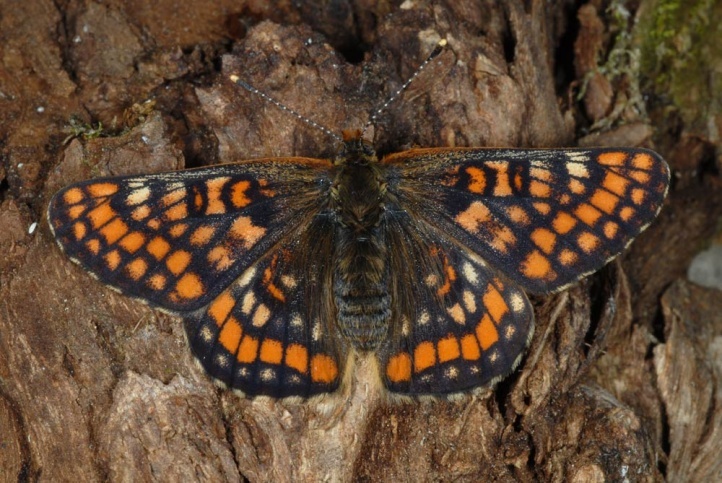 Euphydryas intermedia inhabits open mountain forests with many clearings, shrub communities (Alnus viridis, Rhododendron) or avalanche paths where Lonicera coerulea occurs. 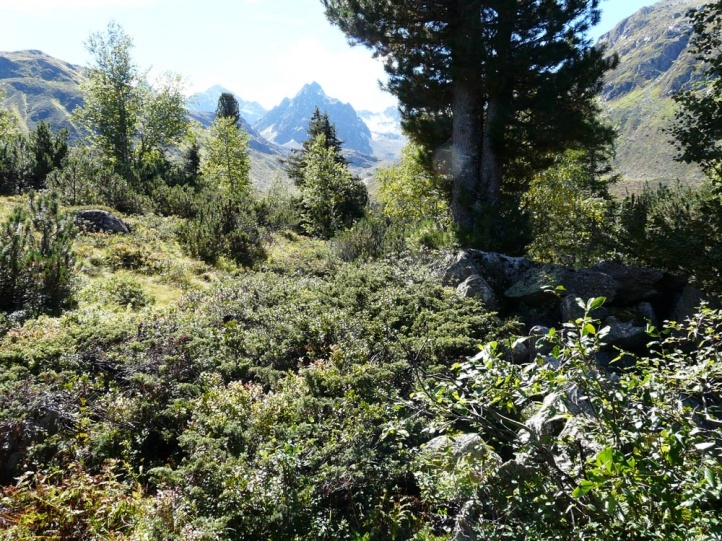 It prefers altitudes from 1400 to 2100m above sea level, but descends occasionally even to 1000m or is encountered at 2500m above sea level. 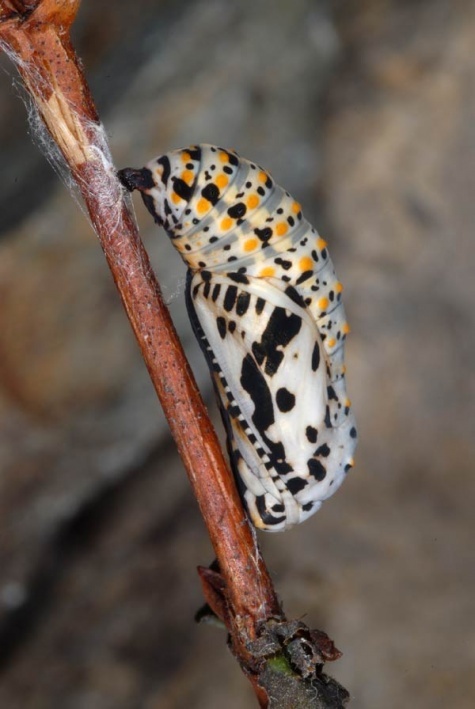 The butterflies occur in June and July and like to feed nectar on flowers (Adenostyles etc.). 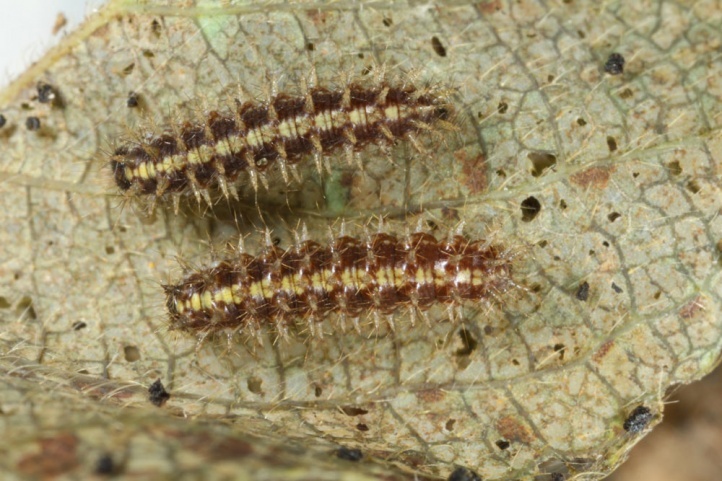 The eggs are laid in batches on the lower leaf surface of exposed branches of the host plant. 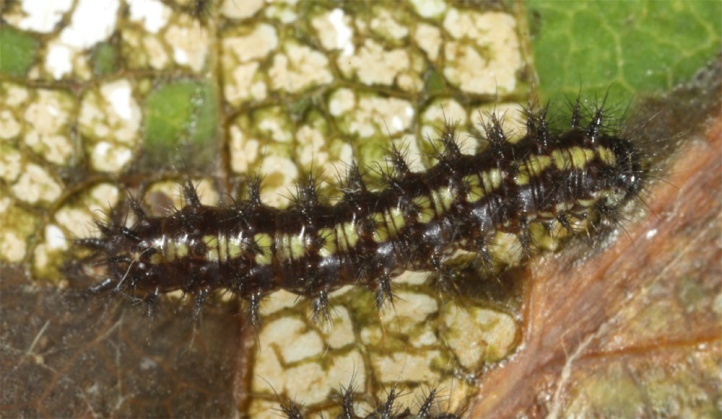 Here the caterpillars live in a sociable webbing. 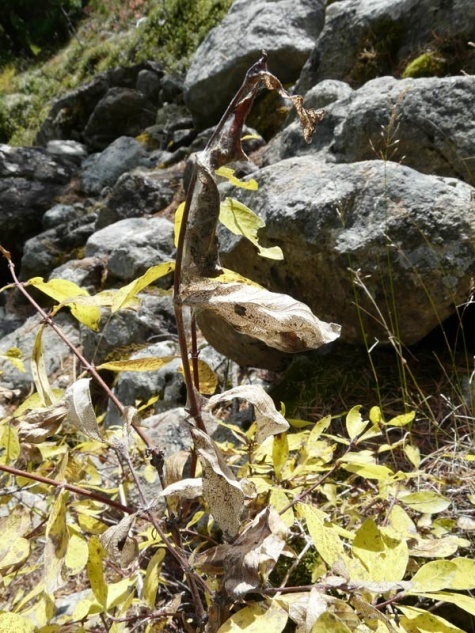 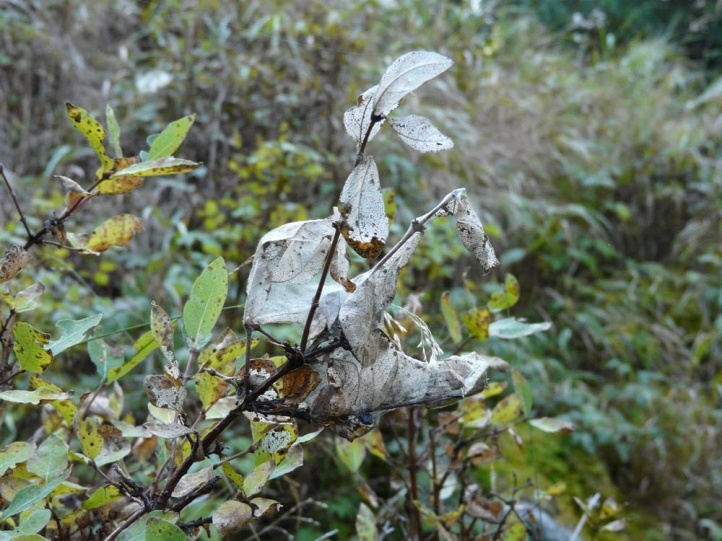 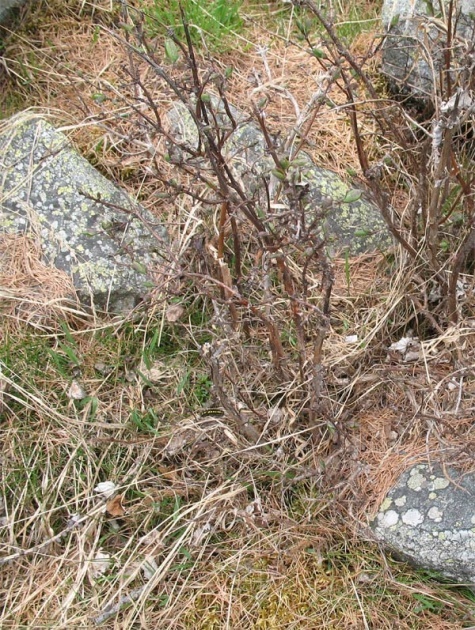 I found several caterpillar nests at 1900m above sea level (Engadine) on 27/09/2008. 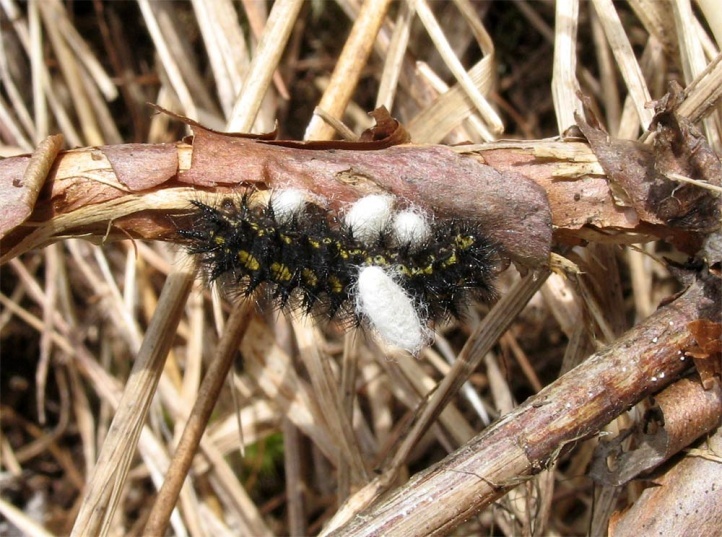 The caterpillars were in the third instar or in moult rest into this instar in the webbings, without fresh feeding scars. 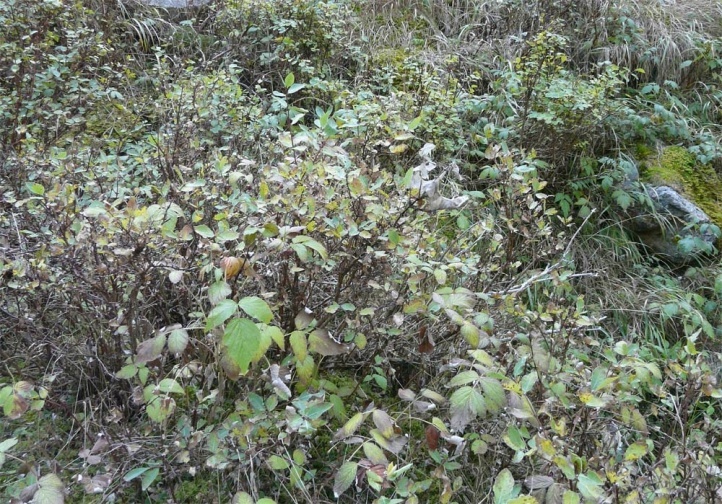 The bushes just lost their leaves and the vegetation was already drawn by frost. 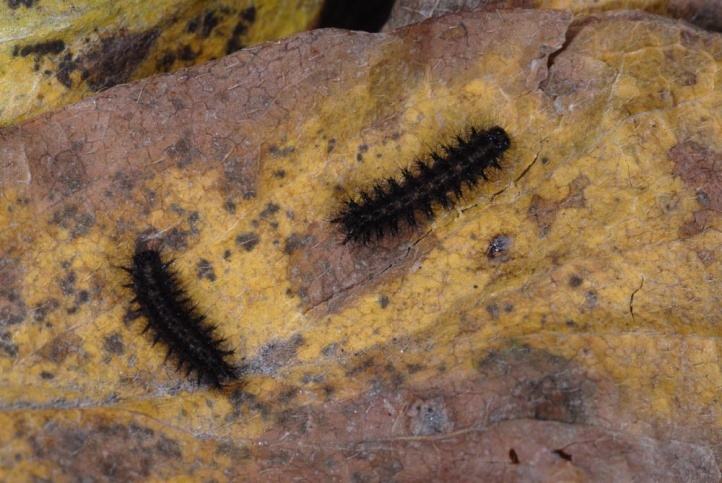 Presumably the first overwintering is spent in these exposed webbings. 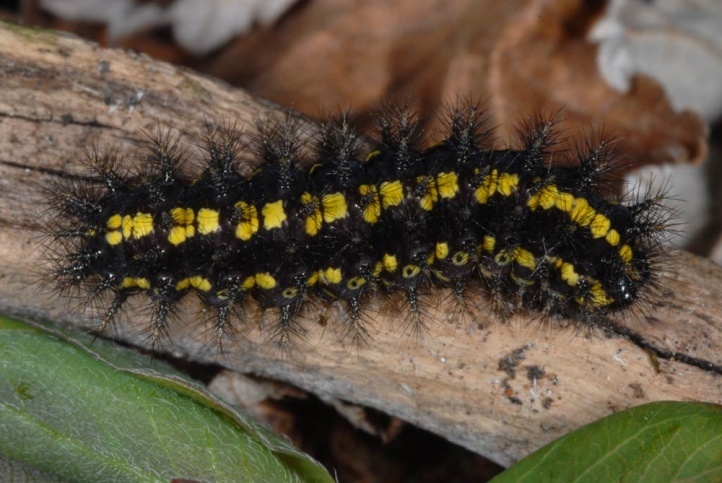 The further development is fractionated, with most caterpillars passing another winter, some even a third. 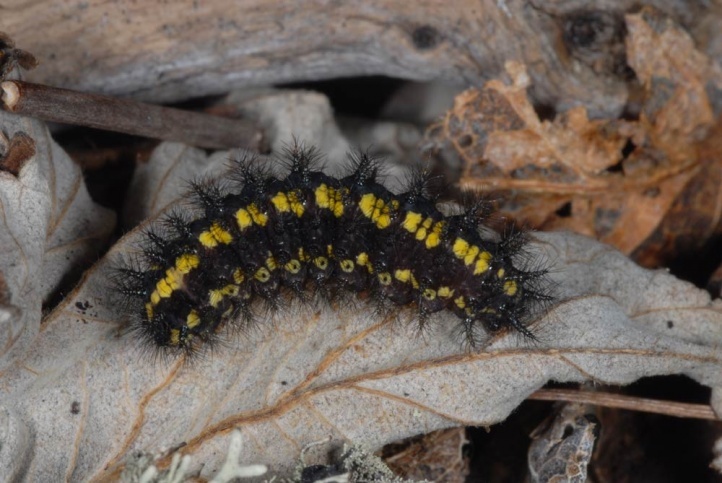 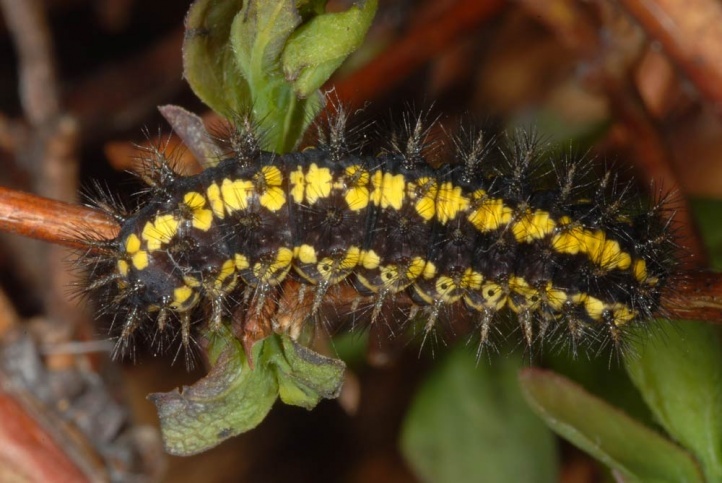 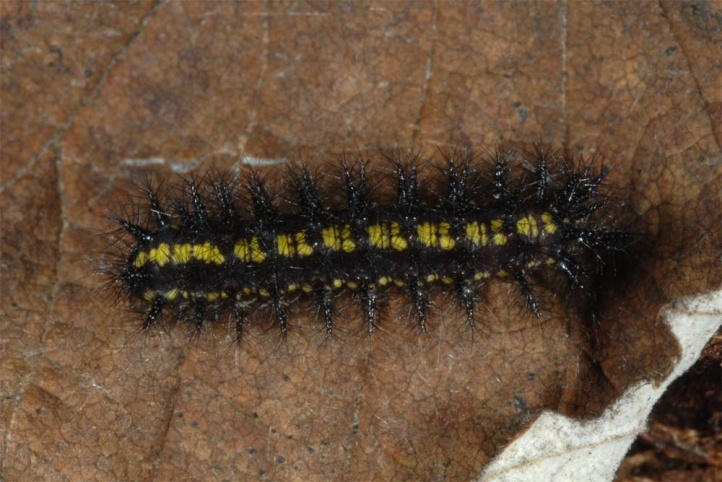 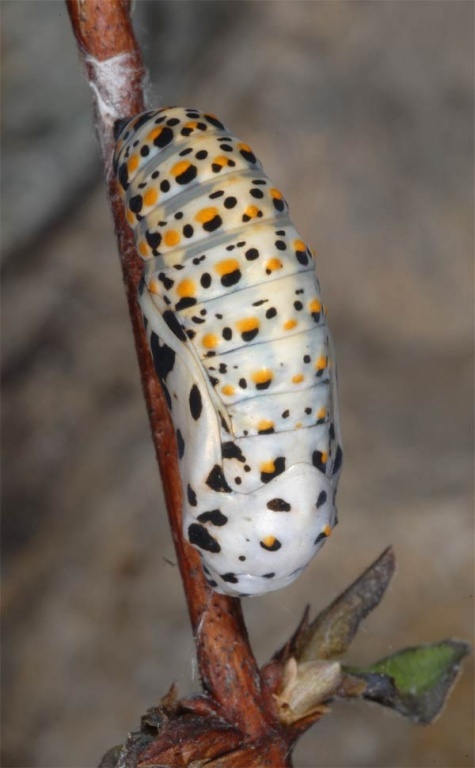 After the first winter, the larvae live singly and keep mostly on the ground in moss or dead leaves at the base of shrubs. 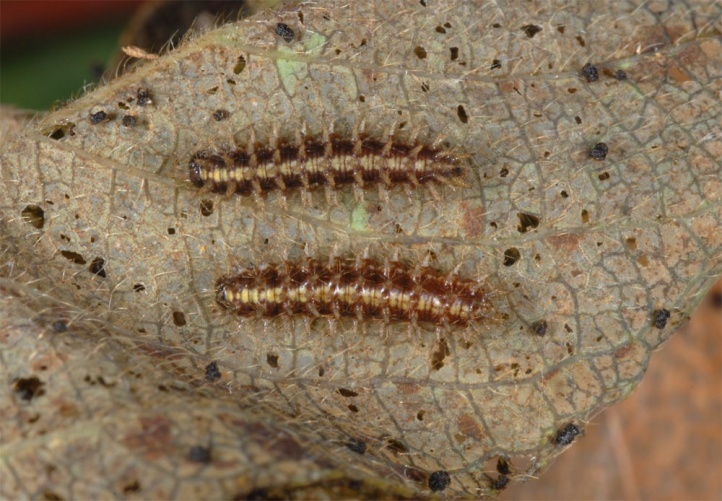 They climb shoots near the ground and feed on the fresh leaves. 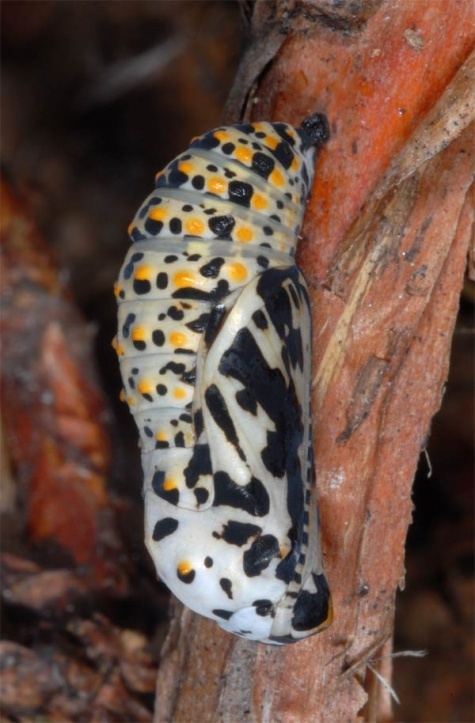 In late 2008, I met many larvae at the aforementioned locality. 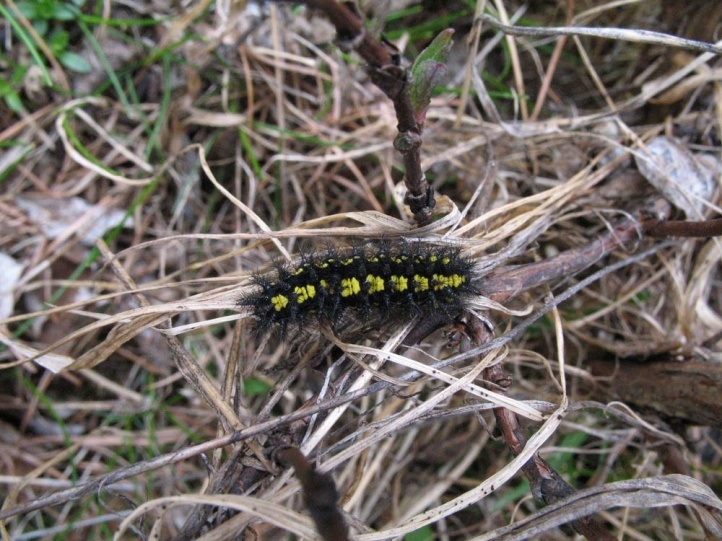 The caterpillars were still quite small (L3) after the first overwintering, but those after the second hibernation already mature, not infrequently also parasitized. 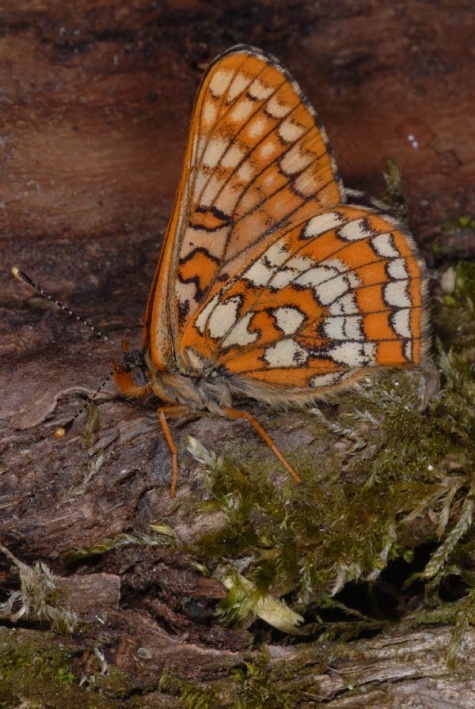 Euphydryas intermedia is endangered because of its often very small-scale habitats due to changes of all kinds (tourist infrastructure, forestry, grazing). 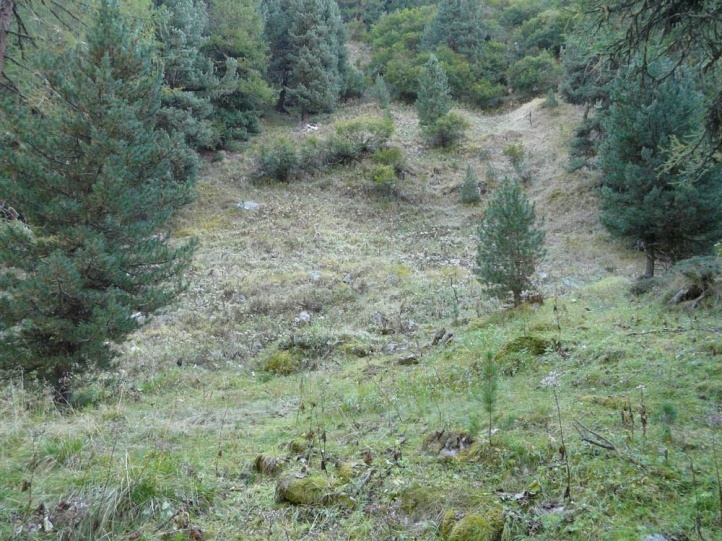 Better conditions are often given in the higher elevations, so that probably at least a part of the sites appears protected in the medium-term. 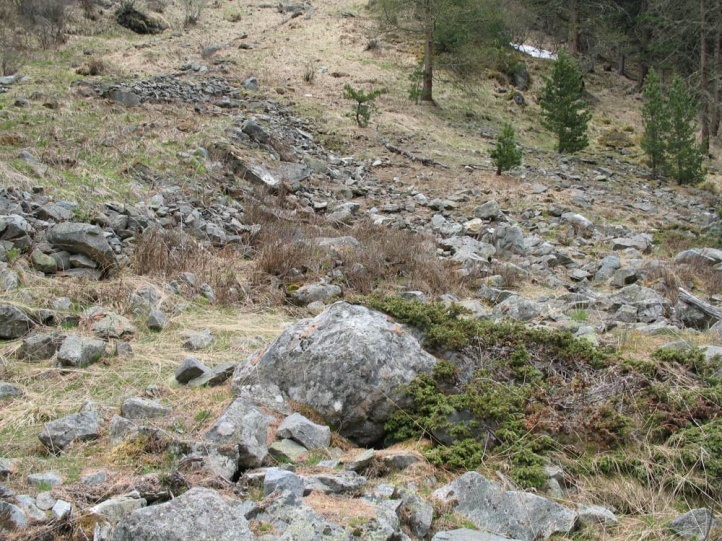 The European presence is limited to the Alpine region (missing in the Bavarian Alps), where the subspecies wolfensbergeri flies. 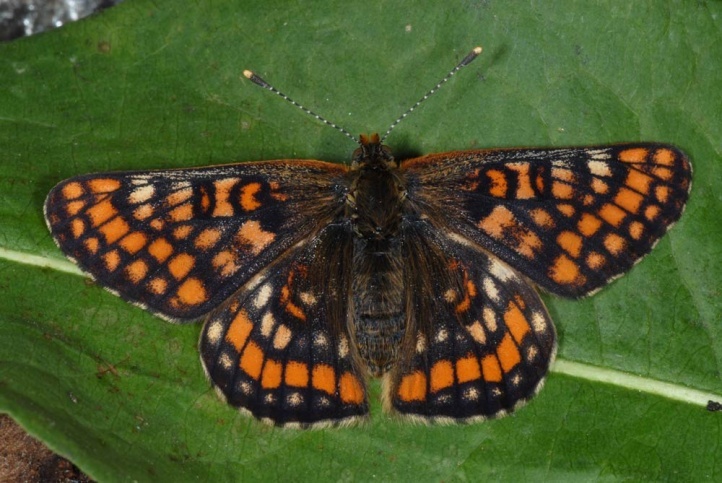 Otherwise there are other subspecies in Asian mountains (from the Urals to China). 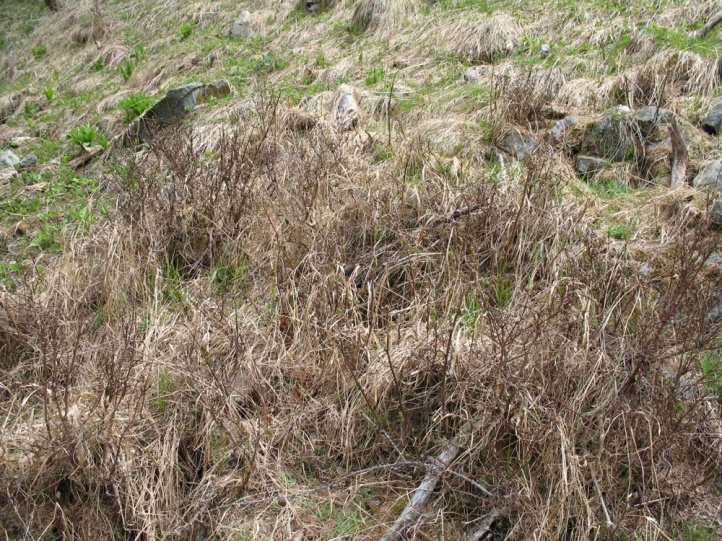 The taxon wolfensbergeri is partially separated as a separate species by some authors.